An orthodontist has been to dental school and is skilled enough to spot gum and teeth problems. However, seeing an orthodontist is not enough to keep your teeth healthy. During your time receiving braces, it’s also important to keep seeing a dentist for cleanings, exams and dental treatments. Learn why dental care and oral hygiene is important during your time with braces and how it can help you have a better smile after your braces! Brushing after every meal. Your braces easily trap food particles every single time you eat. Brushing after each meal can prevent staining and reduce the potential for bacteria buildup. When brushing, make sure you have a regular, soft-bristle brush. Brush down from the top, then up from the bottom on each tooth that has a bracket. Using a threadable floss or floss threader. 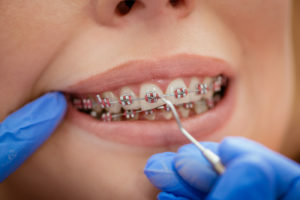 You will quickly notice that you can’t floss the conventional way with metal braces because the archwire is in the way. If you use a floss threader, thread regular floss through the eye of the threader like you would a sewing needle and thread. Or, using threadable floss, insert the small or pointed end in between your teeth, pulling it through. Once in place between your teeth, you can floss the two teeth on either side of where you have inserted the floss, taking care not to apply force or pressure against the archwire. Repeat between all teeth. Using a proxabrush. This is a small brush that looks like a Christmas tree. Place the proxabrush between two brackets, below the archwire, brushing up and down. After several strokes, repeat this motion by inserting the brush from the opposite side (either down from the top or up from the bottom). There are other types of braces besides metal braces. At our office, we also offer Invisalign, lingual braces and ceramic braces. Ceramic braces – Care for ceramic braces is the same as for traditional metal braces. This is because the design of these braces are the exact same, except they are made out of white, ceramic material. Lingual braces – These braces consist of brackets and wires that are placed on the tongue-side of your teeth (meaning behind the teeth). You will have to be more careful with brushing and flossing your teeth, as you won’t be able to see the brackets and wires as well. However, cleaning is very similar to how you would clean metal braces. With flossing, floss threaders will become your best friend, and you’ll want to be meticulous with this because food can get stuck more often with the braces being inside your mouth by your tongue. Invisalign – This orthodontic appliance is completely different than the other options you have. Invisalign is a series of transparent aligners that you switch out every week. The benefit of these aligners is that you can easily remove them, and brush and floss your teeth like normal. No brackets, wires or lengthy flossing session. When you take the aligners out, rinse them to get the saliva off of them. Then soak them in a retainer/braces cleaner. An example is Retainer Brite or denture cleaner. Did you know that an orthodontist must complete dental school. In order to practice orthodontics, they need to complete a 4-year bachelor’s degree followed by 4 years of dental school. After that time, an orthodontist will continue 2-3 years of additional training and schooling to practice orthodontics. Therefore, an orthodontist knows what a dentist knows when it comes to your oral health. However, one point that we want to stress is that you need to continue seeing the dentist during your time with braces. Your dental care during braces will depend on the type of braces you receive. Many patients choose traditional metal braces for straightening their teeth. No matter what orthodontic option you choose, it is particularly important to maintain great dental care through attention to proper oral hygiene. If you don’t know what that proper hygiene routine looks like, we can help you. As always, if you have any questions about braces care or maintenance, please do not hesitate to contact our office. We are here to help you reach your goals and to keep your mouth healthy. For help caring for your braces, or if you are finding certain oral hygiene tasks difficult, call Belmar Orthodontics at (303) 225-9016! Did you know that braces can improve your dental health? Dental and orthodontic care go hand-in-hand. 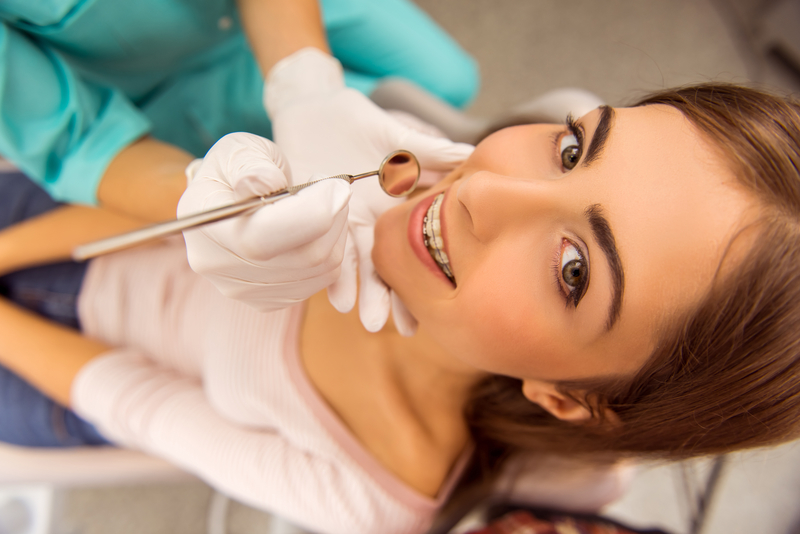 Many dentists have training to spot problems with bite and alignment. These problems can be corrected with proper orthodontic care, and should be corrected early-on before children have grown. Receiving braces as a child can correct problems that become severe later in life. 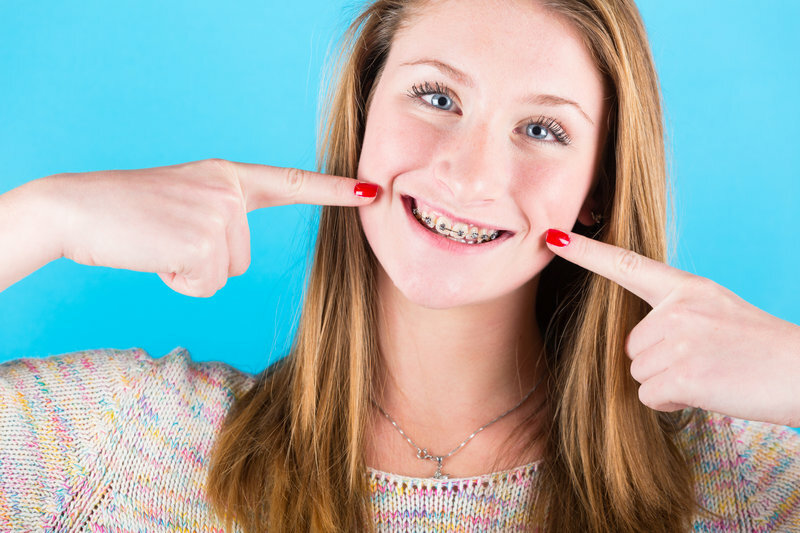 Receiving braces as an adolescent and even as an adult can greatly improve your oral health, as it decreases your chances for tooth decay and even gum disease. Straighter teeth are teeth that are easier to clean and easier to take care of. Learn how investing in braces can improve your dental health today! DId you know that orthodontists also attend dental school? Orthodontists go through 4 years of undergraduate school, then move on to 4 years of dental school. Afterwards, they must complete and additional 2-3 years of special training to perform orthodontics. Orthodontists are skilled at not only making your teeth straighter, but also helping you to improve your dental health. Dr. Hardy understands how the teeth work and that straighter teeth are teeth that have a reduced risk for cavities and problems with gum disease. When the teeth are crooked, it can make it much harder to clean between each tooth thoroughly each day. To keep a healthy mouth, every single day counts and plaque must be removed with frequent brushing and flossing. What if the crookedness of the teeth prevent your toothbrush or floss from reaching certain areas? Those areas will be prone to, and will probably start to develop, tooth decay and/or problems with the gums. In contrast, when the teeth have been properly aligned with orthodontic care, cleaning them becomes a simple task. A toothbrush can easily reach all the surfaces and floss can get in between each tooth. That gives you a much better chance at having great oral health. What Else Can Braces Do? 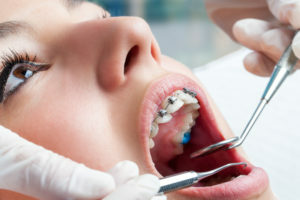 Braces are highly beneficial for not only straightening your pearly whites, but also for correcting bite and alignment problems that so many children have. Between the ages of 7 and 8, a child should see an orthodontist and get their bite assessed. We look to see if your bite and teeth line up correctly. If they don’t, you may have one of the following: openbite, crossbite, overbite, underbite, malocclusion, etc. All of these problems can make chewing, speaking, biting, etc., difficult. If a smile is left untreated, problems that were minor become severe over time and require more extensive procedures. However, braces are a perfect method for fixing these problems at an early age, saving you time, money and your health. We mentioned that braces can help your dental health by lowering your risk for oral health issues. The two most common oral health problems are tooth decay and gum disease. You may know tooth decay by one of its other names: dental caries or cavities. Tooth decay is the erosion of the tooth enamel over time. Almost every patient has had some form of tooth decay in their life. However, tooth decay–or cavities–are 100% preventable if you have a habit of taking care of your teeth. Tooth decay is caused by plaque—a sticky film made from sugars in the foods you eat mixed with bacteria. This plaque sits on the teeth and erodes the tooth enamel. Over time, that plaque can eventually weaken a tooth and get inside, where it will start to cause decay. The teeth aren’t the only ones that are affected by plaque. Plaque also attacks the gums, causing them to become swollen, red, and irritated. You may even see your gums bleed easier. When the gums continue to become inflamed, they will eventually recede from the teeth, causing the teeth to fall out. Thankfully, both tooth decay and gum disease are avoidable. Straighter teeth can help make brushing easier, and thus help decrease your chances for either condition. When it comes to the teeth, you only have one set. You want to do all you can to keep your dental health intact. 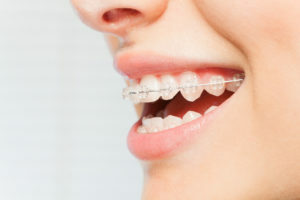 Straightening your teeth with braces can help you, plus, you’ll receive all the benefits a better smile can give you. So what are you waiting for? Schedule your appointment with Belmar Orthodontics today at (303) 225-9016!